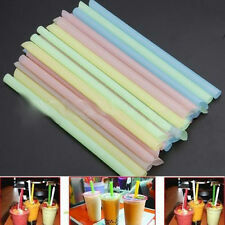 33 x Smoothie Straws(2-5 pcs more or less). High product quality. Material: Plastic. Pictures:Due to the difference between different monitors, the picture may not reflect the actual color of the item. NESTLÉ NESQUIK Powder turns milk into an irresistibly delicious and nutritious drink for your family to enjoy and for you to feel good about. DO NOT OPEN A CASE I RESOLVE ISSUES BETTER. I CANT FIX IT IF I DON'T KNOW ABOUT IT! 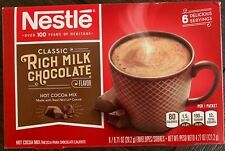 NEW SEALED NESTLE RICH MILK CHOCOLATE HOT COCOA MIX 4.27 OZ BOX 6 DELICIOUS SERVINGS. 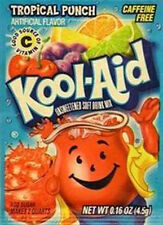 50 Packs Sachets Genuine 100% original Kool-Aid – you choose from over 20 flavors. 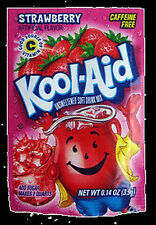 Kool-Aid is America's all time favorite soft drink mix! Banana flavour milkshake mix with added vitamins A, B1 (thiamin), B2 (riboflavin), B6, C, D, and folic acid. Mix with water and make 15 Liters of root beer! To enjoy your Sakura Latte, add 100ml of boiling water to 3 teaspoons. If you prefer it icy-cold, mix the Sakura Latte powder with 20ml of hot water, then add 80ml of water and ice. How to drink And, if you like it nice and creamy, use milk instead of water and a bit of whip cream on top. Trending at C $20.75eBay determines this price through a machine-learned model of the product's sale prices within the last 90 days. 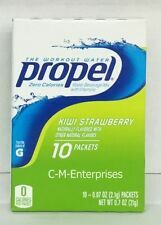 Yakult Aojiru Fruits and Green Juice, Barley Young Leaves, 7g x 15pcs x 3 boxes, Green Powder, from Japan. Barley Young Leaves and Fruits powder! 100% Authentic! New and unopened! Tang Mango Instant Drink Mix 100 grams 3.5 oz Pack - Beat the heat with Tang! Tang orange powder 20 oz. In such cases, we try our best to correct the problem promptly. Speed 2 to 5 Weeks Up to 1 Week. Whether you’re sick, on-the-go, or stressing your body through high intensity workouts, nuun immunity’s propriety mix of botanicals and electrolytes aids in the protection of your immune system. We designed nuun immunity around the baseline of a healthy immune system: hydration! LEMON Flavor TANG Instant Drink Energy Powder Mix 500 gm. TANG Instant Drink Energy Powder. Filled with the goodness of Lemon. While we work to ensure that product information is correct, on occasion manufacturers may alter their ingredient lists. MAKES 12 QUARTS TOTAL. 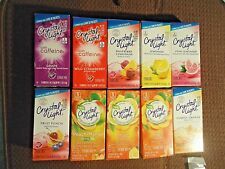 NEW: 1 (ONE) CANISTER OF CRYSTAL LIGHT CONCORD GRAPE DRINK MIX! Tang Passionfruit Powdered Drink Mix. 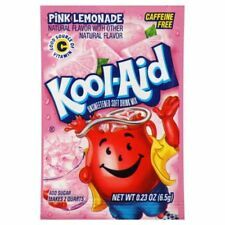 Artificial flavor. 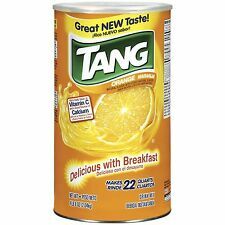 Jump-start your morning with a refreshing serving of Tang. ONE (1) Bottle Tang Powdered Drink Mix, Passion fruit, 18.0 Ounce. Tang Powdered Drink Mix, Passion fruit, 18.0 Ounce. We want you to be 100% satisfied with our products and our service. If there's a problem, just let us know and we fix it. We will never know your credit card information. We will never know your credit card information. If there's a problem, just let us know and we fix it. NEW: 1 (ONE) CANISTER OF CRYSTAL LIGHT RASPBERRY LEMONADE DRINK MIX! MAKES 12 QUARTS TOTAL. NESTLE NESQUIK Plus. 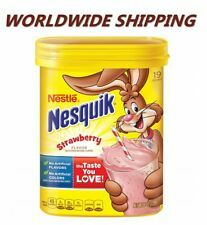 In addition to beloved by every chocolate flavor,NESQUIK Plus with a glass of low fat (1.5%) milk provides the body with much needed calcium for bones, and more magnesium and vitamins C, E, B1 and B6, folic acid, niacin Pantothenic acid. 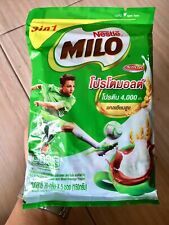 Japanese Nestle Milo Chocolate Flavored Drink 240g 1,2pack free shipping! 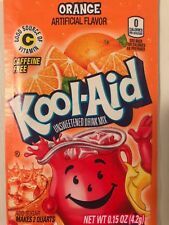 Wyler's Soft Drink Mix 12 Packets Assorted Flavors make 24 Quarts Sealed New! Mexican Hot Chocolate Spiced With Chili.